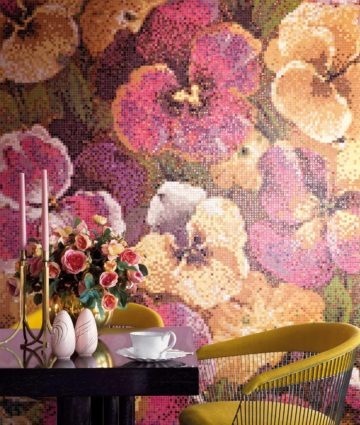 A recurring feature of the decorative offerings of Bisazza, floral motifs are also the protagonists of the new collections for 2019. 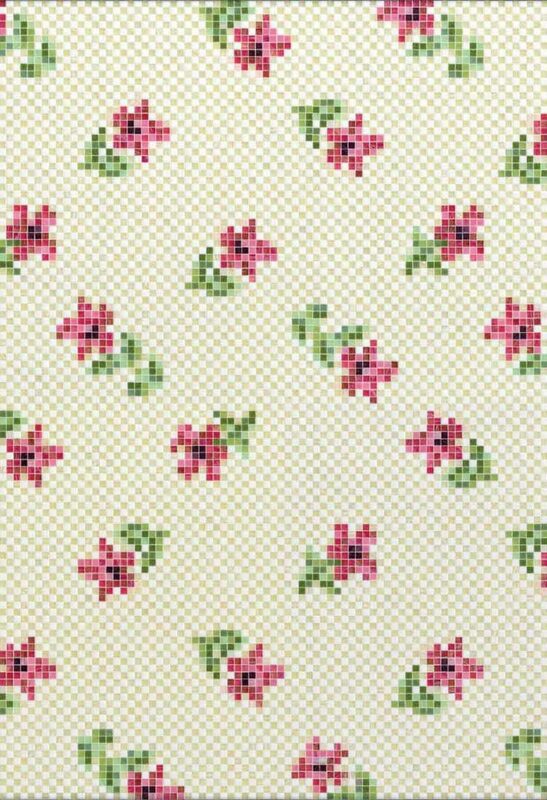 New patterns “blossom” this year in a triumph of lilies, poppies, roses, violets and wildflowers. 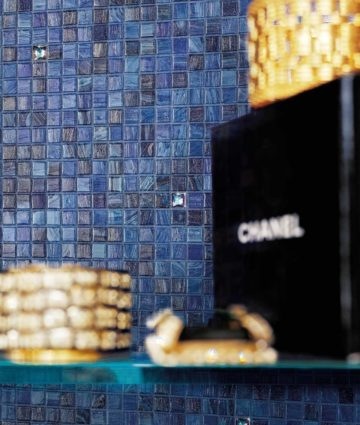 The eight new mosaic mixtures, enhanced by Swarovski crystals, light up all surfaces with an original touch. 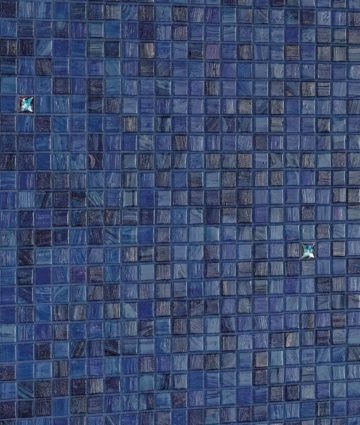 Carlo Dal Bianco, creator of the new mosaic patterns, pays tribute to France with the beauty and elegance of its gardens, chateaux and palaces. In the Malmaison pattern (dedicated to Josephine Bonaparte) the protagonist is a collection of monumental roses in a large format, on a white background. 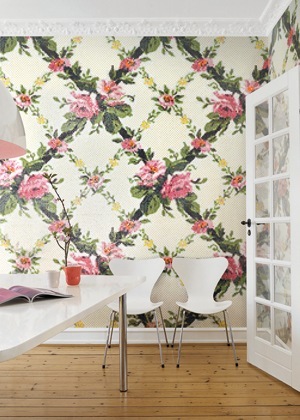 Trianon and Petit Trianon draw on the floral designs of wallpapers and fabrics in French palaces of the 18th century. 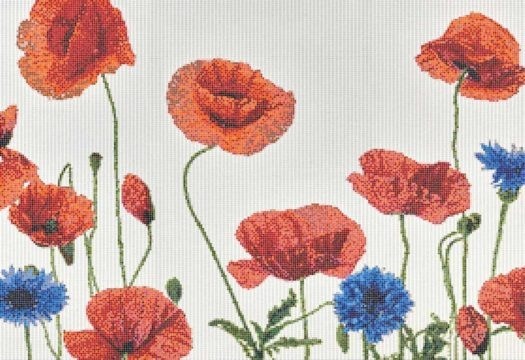 The Hameau pattern relies on reference to rural visions and meadows filled with poppies and cornflowers. 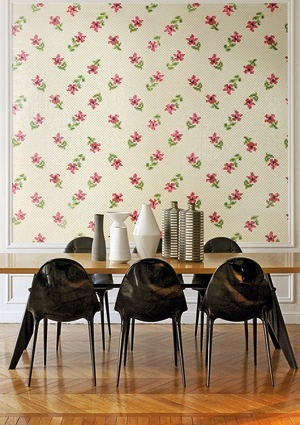 French gardens featuring wildflowers add a touch of romanticism to the two Pensée patterns. The Bougainvillier design glows with pink bougainvillea blossoms.